“Among the best litigation lawyers I have ever worked with on complex commercial litigation.” Ranked in top 3 General Litigation Firms in Ohio. Each of three senior partners ranked in top seventeen commercial litigators in Ohio – no other firm had more than one partner included in the top seventeen. Zeiger, Tigges & Little LLP is a litigation boutique that consistently rates as one of the top litigation firms in the Midwest. In 2016, Chambers once again ranked the Firm in the top three General Commercial Litigation firms in Ohio, comparing it favorably to other leading firms more than 10 times our size. The Firm specializes in business and commercial law, with special focus in legal malpractice defense, securities claims and family and corporate governance disputes. The Firm’s principals have earned a reputation for vigorous and innovative representation of clients in all forums and have built a varied roster of clients ranging from large corporations to high net-worth families. Zeiger, Tigges & Little LLP was formed as a boutique offering extensive trial experience to clients needing high powered litigation support. Clients entrust us with a range of representations, often involving millions or tens of millions of dollars in dispute. NetJets Large Aircraft, Inc. v. United States of America, 80 F.Supp.3d 743 (S.D. Ohio 2015), and 2015 WL 7784925 (S.D. Ohio 2015) (successful challenge on behalf of NetJets, Inc., a subsidiary of Berkshire Hathaway, to IRS’ threatened imposition of one billion dollars of federal excise taxes and penalties). Ohio Neighborhood Finance, Inc. v. Rodney Scott, 139 Ohio St.3d 536, 13 N.E.3d 1115 (2014) (obtained unanimous Ohio Supreme Court decision, reversing lower court decisions that would have invalidated over $1 billion in pay day loans throughout Ohio). Bank One Trust Company, N.A. v. Ronald E. Scherer, Sr., 2012-Ohio-5302, 2012 WL 5555825 (Ohio App. 10th Dist.) (zero dollar trial defense judgment in favor of JPMorgan Chase in $87 million lawsuit brought by trust beneficiaries for alleged breach of trust and fiduciary duties). The Dispatch Printing Co. v. National City Corp., Case 08CVH-006506, Court of Common Pleas, Franklin County, Ohio (defeated summary judgment and obtained favorable settlement on the eve of 2012 jury trial on behalf of significant minority shareholder in multi-million dollar action for breach of fiduciary duty against publicly traded bank and its former directors for diluting stock value and voting power in bank’s $7 billion capital raise with its largest institutional shareholders). Community Building Systems, Inc. v. Webster Bank, N.A., Case No. 07CVH-7861, Court of Common Pleas, Franklin County, Ohio (successfully tried and obtained $20 million jury verdict in favor of real estate developer against regional bank for tortious interference arising from the bank’s breach of commercial construction loan agreement). Mary Taylor, Superintendent of Ohio Dep’t of Ins. 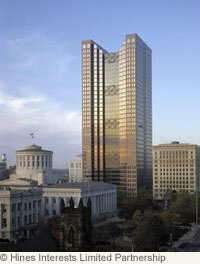 v. Ernst & Young, LLP, Court of Common Pleas, Franklin County, Ohio, Case No. 03CV4906 (obtained summary judgment in favor of national law firm in defense of $23 million legal malpractice action brought by Ohio Department of Insurance for allegedly deepening the insolvency of a health insurance company). Bank One, N.A. v. Echo Acceptance Corp., 522 F.Supp.2d 959 (S.D. Ohio 2007), and 380 Fed. Appx. 513, 2010 WL 2545516 (6th Cir. 2010) (representation of JPMorgan Chase, recovering more than $16 million of indemnity and attorney fees against predecessors of Dish Network arising out of national class action settlement). Representation of trustee of billion dollar retail enterprises in litigation brought by beneficiaries seeking his removal as trustee and recovery of hundreds of millions of dollars in damages; trustee prevailed in all respects. 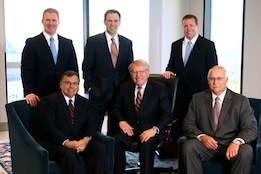 The Firm is also counsel to fellow members of the Bar, with a significant part of its practice devoted to defending more than thirty major law firms in legal malpractice claims and internal disputes. Zeiger, Tigges & Little LLP attorneys have handled virtually every type of business litigation: tender offer defense; health care industry disputes; complex construction claims; financial services claims; First Amendment, media access and public records litigation; legal malpractice defense; ERISA class action defense; multi-district price-fixing antitrust claims; and complex trust disputes are examples. Located on the 35th and 36th floors of The Huntington Center in Columbus, Ohio, Zeiger, Tigges & Little LLP brings intelligent seasoned judgment to your business litigation needs.